BRIGHTON Girl Guides and Old Beach Scouts have decided to sleep rough to raise awareness of the plight of Australia’s 100,000 homeless people. 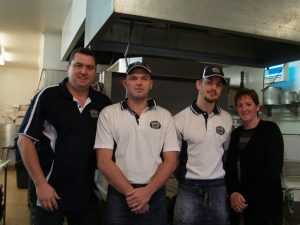 Girl Guide Leader Fiona Hardman of Gagebrook said a winter sleepout was planned for Saturday, August 7 at Pontville as part of National Homeless Persons’ Week and just as Brighton Community News was being distributed. 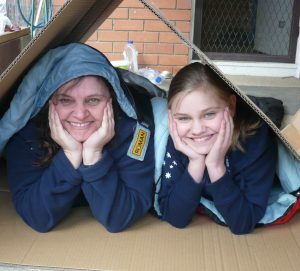 • Girl Guide Leader Fiona Hardman and her nine-year-old daughter Emily prepare to sleep out during National Homeless Persons’ Week. 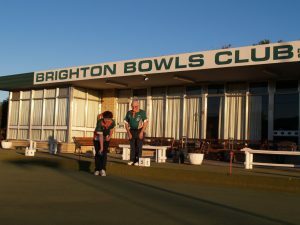 BRIGHTON Bowls Club members ended the 2009/10 bowls season with a presentation dinner at the clubrooms to celebrate one of their most successful seasons ever. The ladies divisions 2 and 4 won the southern finals and then travelled north to take on the northern finalists and defeated them convincingly to become state champions when division 2 ladies defeated Cressy 51-43 and Port Sorell 62-48. Division 4 ladies defeated Deloraine 70-43 and Ulverstone 82-48. Junior representative in Southern Tasmania Bowls competition Josh Iles, left, with Club President Kevin Marshall. WITH another summer of cricket soon upon us, the Old Beach cricket club is hoping to enter four teams in the Southern Cricket Association this season. The club is always looking to welcome new faces, whether interested in playing or supporting your local team. 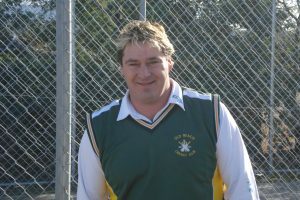 Coach Mark Little is looking forward to a big season for Old Beach Cricket Club. 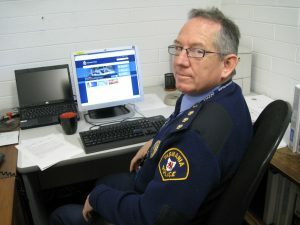 INSPECTOR Lee Renshaw, the new boss of Bridgewater Police, is bunkered down in his concrete-block windowless office just off Green Point Road. He arrived in April during a tumultuous time, with promotions and transfers underway. Inspector Lee Renshaw, Brighton’s new top cop. THE past decade has seen considerable community activity and development in Bridgewater and Gagebrook and with the current growth and exciting development planned for the future, it is important that we do not lose the impetus that has been built up.